Ocala is a city located in Northern Florida. 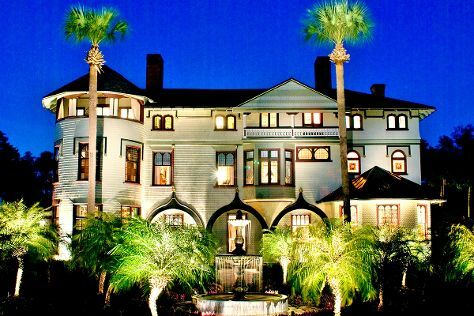 Deepen your sense of the past at sights like Stetson Mansion and Castillo de San Marcos. Get out of town with these interesting Ocala side-trips: St. Augustine (Cathedral Basilica of St. Augustine, St. George Street, & more), Crystal River (Scuba & Snorkeling & Stand-Up Paddleboarding) and Ponce de Leon Inlet Lighthouse & Museum (in Ponce Inlet). There's still lots to do: stroll through Beach at Daytona Beach, pause for some serene contemplation at St. Barnabas Episcopal Church, take in nature's colorful creations at Dunlawton Sugar Mill Gardens, and explore and take pictures at Daytona International Speedway. To find photos, reviews, traveler tips, and other tourist information, use the Ocala day trip planning tool . In January, plan for daily highs up to 68°F, and evening lows to 45°F. Finish up your sightseeing early on the 18th (Fri) so you can travel back home.